Christian pastors David Platt and Kevin DeYoung have joined others in sharing a video where the son of an American prisoner being held in North Korea pleads for help from the public. "Just miles from where the Olympics are being held, this son's dad is detained in #NorthKorea. Please listen to this video, pray, spread the word, and contact Congress regarding his release," Platt, president of the Southern Baptist Convention's International Mission Board, wrote in a tweet last week. The video features Sol Kim, the son of American prisoner Kim SangDuck, otherwise known as Tony Kim, who was arrested by North Korean officials in Pyongyang in April 2017. DeYoung, who is senior pastor at Christ Covenant Church in Matthew, North Carolina, also linked to the video and told Christians: "Worth two minutes to watch and pray." 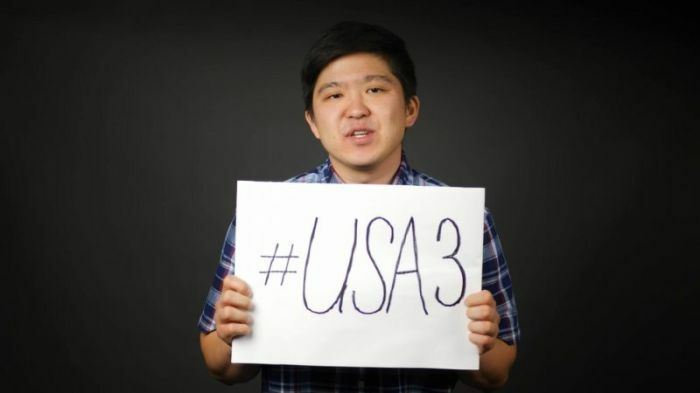 Sol Kim explains in the YouTube video, uploaded by campaign group Free USA 3, in reference to the three Americans in prison, that his father had just finished his semester as a professor in North Korea when he was arrested at the airport. "No explanation was given. My family and I have had no contact with him since. He has not been charged with any crime, and we don't know what is happening to him," Kim said. There has only been one confirmed report of anyone seeing his father alive, and that was seven months ago, when U.S. State Department officials visited North Korea to bring back Otto Warmbier, the University of Virginia student who was imprisoned by North Korea for over 17 months. Warmbier was in a coma when he was released and died within a week. "My mom, my brother and I miss our dad so much. We're so worried about him and his health. I do want to say thank you to my friends and family who have supported us over these past nine months. These are hard days for our family," Kim said. Kim wanted to let his father know that he will soon be a grandfather, as his brother and sister-in-law are expecting their first child. "As I watch the news about the Olympics, I know that my dad is being held just miles away from there," he added, referring to the Winter Olympics in PyeongChang, South Korea. "It makes me wonder if there is an opportunity for the U.S. government to press harder for the release of my dad and all three Americans." Addressing the viewers, he said: "That's why my family has decided to ask you for your help to bring my dad and other Americans home. You can help my dad and other Americans by spreading the word on social media, and contacting Congress. "Thank you for your prayers for my father, the other two men, and their families." The Free USA 3 website points out that the other two Americans being held captive are 64-year-old American businessman Kim Dong Chul, who was detained in October 2015 and accused of attempting to "overthrow the socialist system;" and Kim Hak-song, who was arrested in May 2017 while doing business with Pyongyang University of Science and Technology, and charged with committing "hostile acts" against the government of Kim Jong Un. Christian persecution watchdog Open Doors, which ranks North Korea as the worst country in the world for Christians, has warned international observers not to be fooled by the North's supposed show of unity during the Olympics. "As many nations come together to take part in the Winter Olympics, let us not forget that every day over 300,000 Christians [in North Korea] are denied the right to take part in the religious observance of their choice," said Matthew Rees, advocacy policy officer at Open Doors. "They are a beleaguered community who are fighting for their very survival." U.S. Vice President Mike Pence met with North Korean Christian defectors last week while visiting South Korea, who shared with them the sacrifices they made to escape the regime and find freedom. "We've been inspired by your bravery," Pence told the defectors. "We ourselves have stood and looked across the demilitarized zone, the line across which you fled, and you fled to freedom. And let me just say that the American people stand with you for freedom, and you represent the people of North Korea, millions of which long to be free as well."